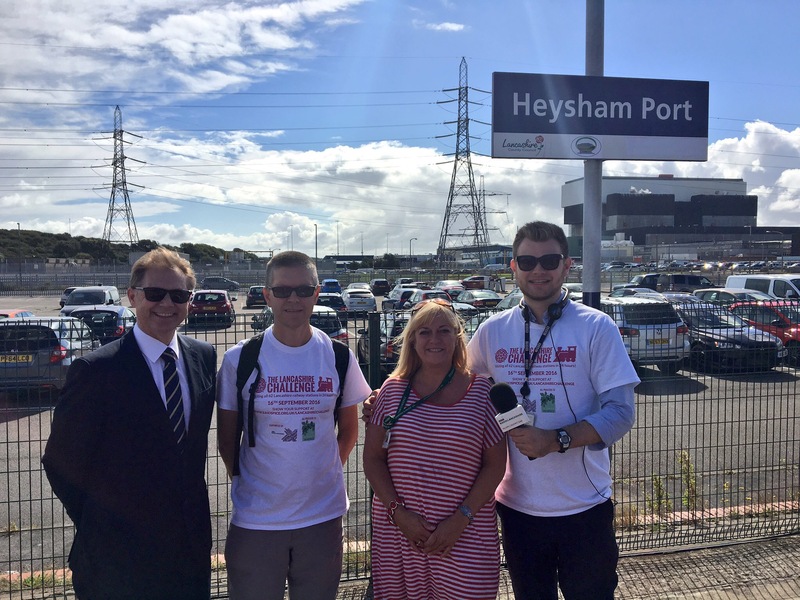 Home » About the hospice » Latest News » Fundraising News » They did it! 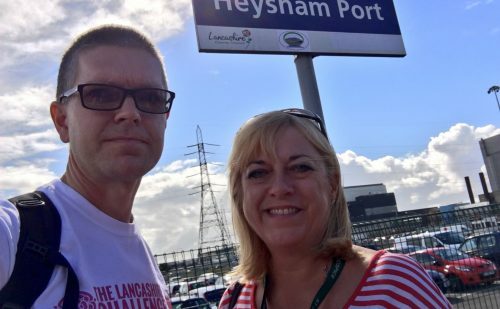 Morecambe man David Chandler is celebrating the completion of a journey like no other. 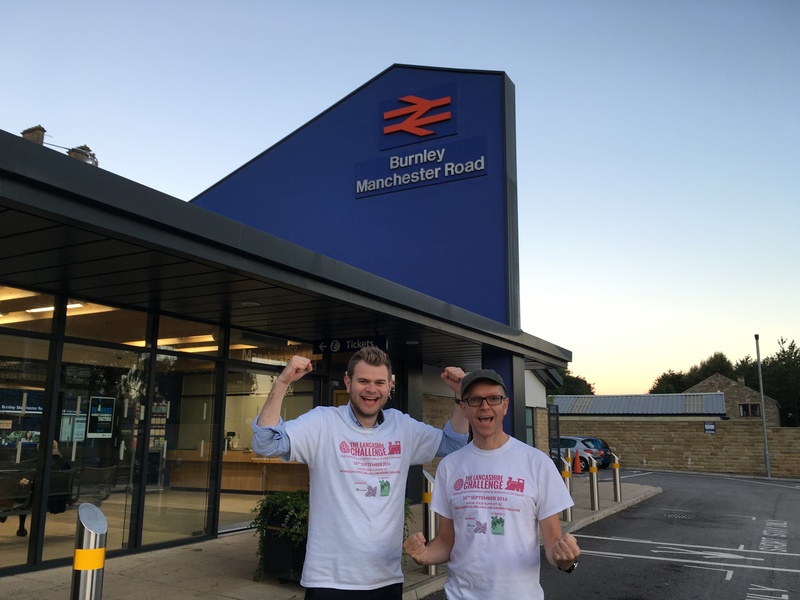 David has travelled by train to every railway station in Lancashire in under 24 hours in aid of St John’s Hospice. 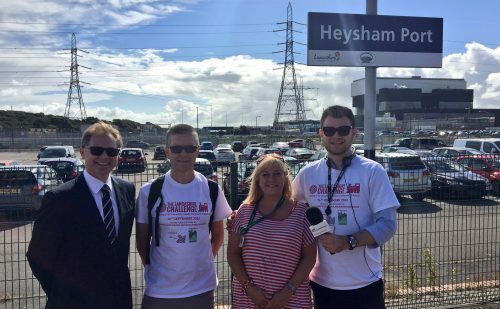 He has covered the length and breadth of the county to visit all 62 stations in a time of 23 hours 28 minutes. David’s efforts have raised £1000 for the hospice. 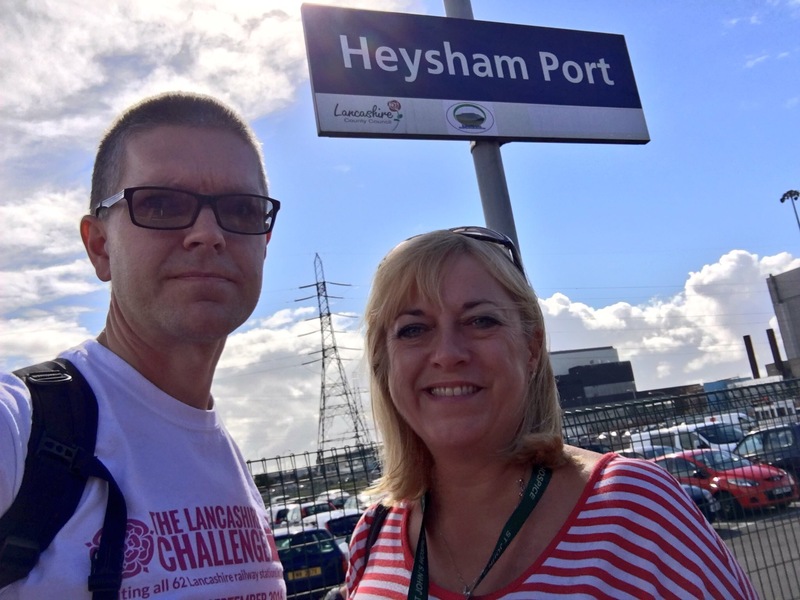 You can donate to St John’s Hospice and support the challenge at www.justgiving.com/lancashirechallenge. David meets up with Helen from St John’s. She brought flapjacks! 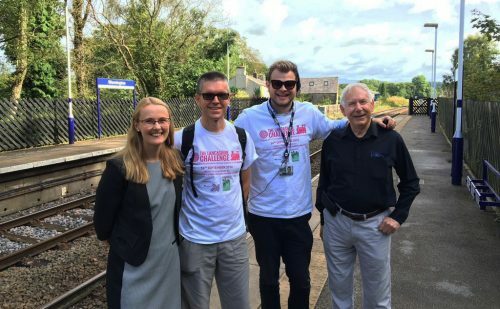 Cat Smith MP met the guys at Wennington to lend her support. 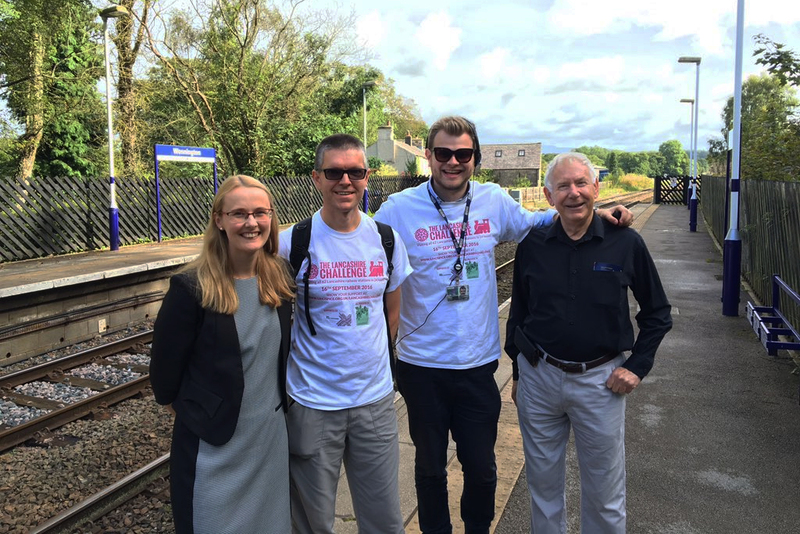 Also joined by Richard from Lancaster & Skerton Rail User Group. They did it! 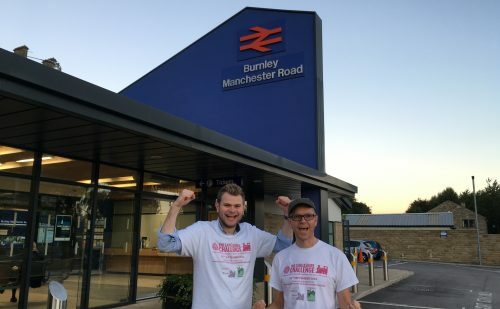 All 62 Lancashire stations in 24 hours.